Sweep by Tech Lighting is a modern architectural linear suspension designed with five ultra-thin rectilinear light panels. Integrated LED light guide technology appears as frosted glass when off then illuminates across its surface when turned on. 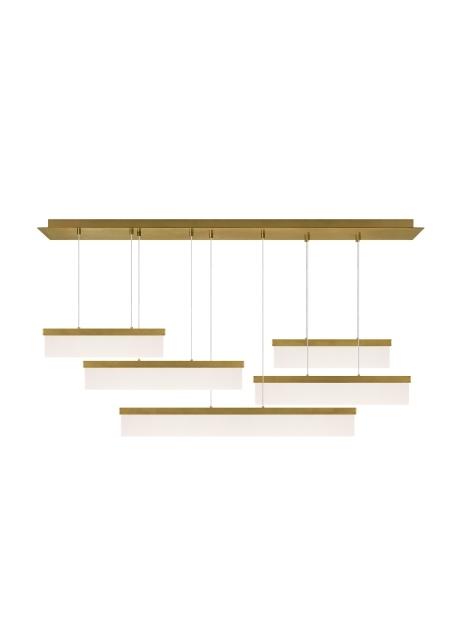 Offered in Tech Lighting’s aged brass or satin nickel finish and designed at 58” in length, the Sweep linear suspension is a definite show piece for any open setting, conference room and hospitality. Lamping options are compatible with most dimmers. Refer to the Dimming Chart for more information.